The Trades window is an automated tool that records current trades and creates a log of the history of all trades for an account. 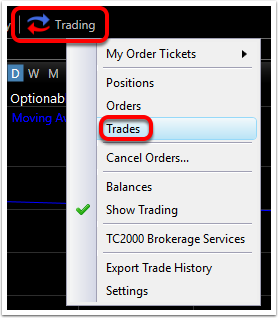 Click the Trading Menu and choose Trades to open the Trades Window. 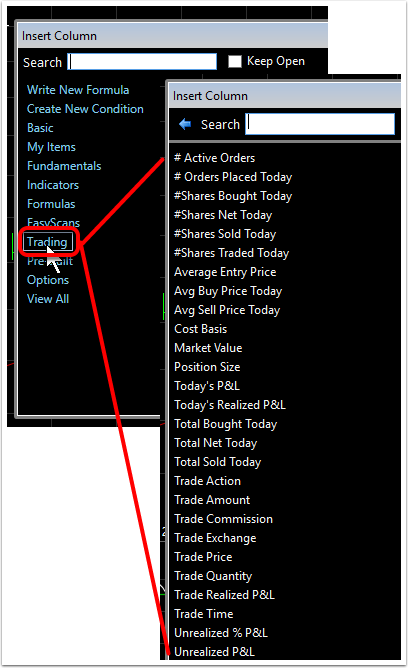 Spacebar through a WatchList and the window will populate with trade history selected only on active symbols where trading has occurred. To see a history (log) of trades for up to three years, click the drop down menu next to Trades and choose a time span over which to view trades. The window now displays all trades placed for the selected time span (e.g. this week). Sort (rank) trades using any of the columns in the Trades window. 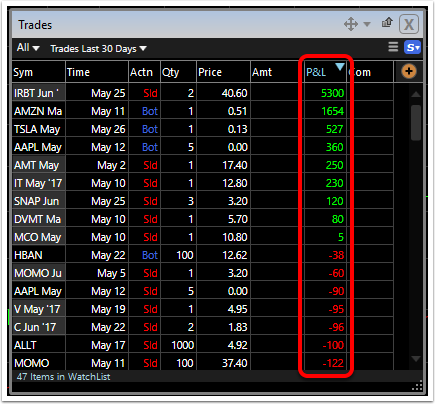 The example below sorts all trades in the account over the last 30 days by P&L (Profit and loss). This ranks the trades from those with the best profit to those with the worst loss. Use the Search field to type a column name and pull it from any of the categories. 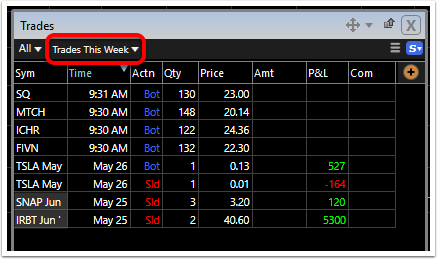 Click on the desired column name to add it to the Trades window. Click Add Value Column to open the Library of available fields. 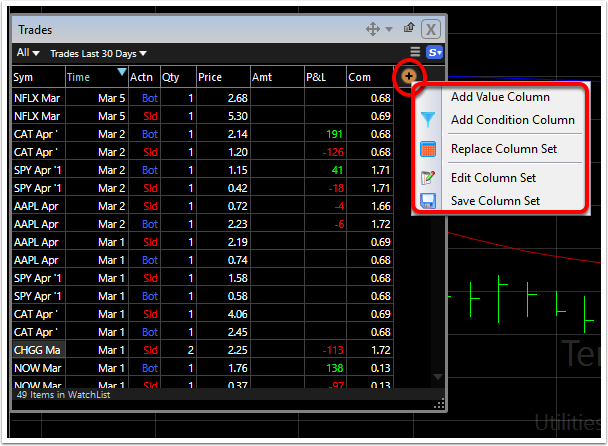 The Trading Section specifically contains column choices that apply directly to trading. Simply click on a selected item to add as a sortable column to the Trades window.